In a large sauté pan with straight edges, pour ½ inch water. Add the cauliflower and bring to a boil. 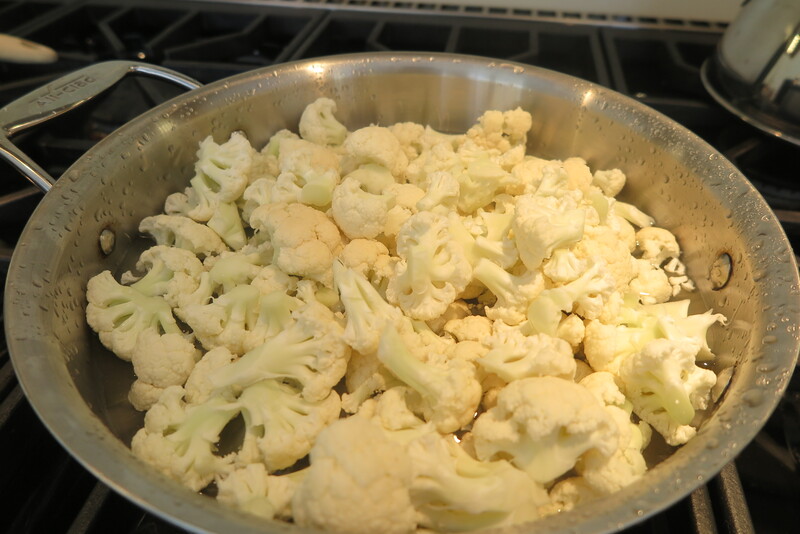 Cover and cook for 8-10 minutes or until cauliflower is tender. In the microwave, warm the milk and butter in a bowl. 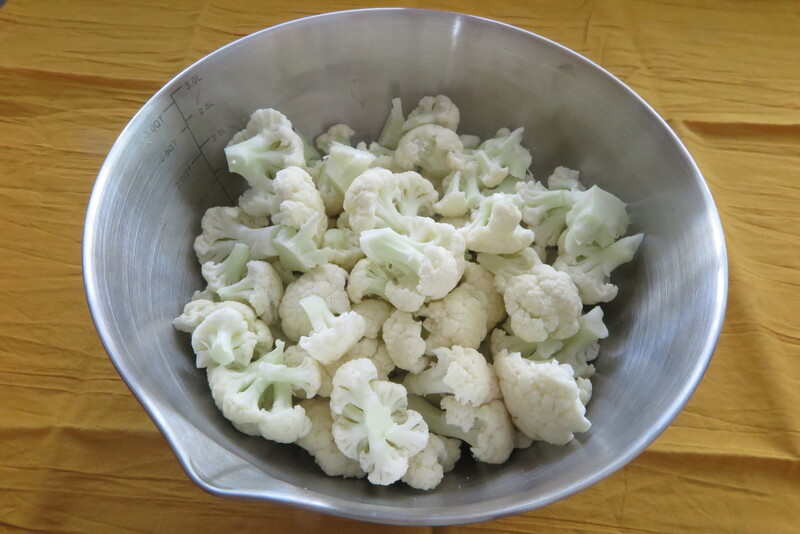 Drain the cauliflower and place in a mixing a bowl. Add the warmed milk and butter, salt and pepper. 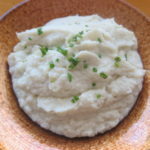 Puree with a immersion wand or puree in a food processor. Garnish with chopped fresh chives. Can be made up to two days ahead and reheat.